LC to send DC copy of last minutes as he lost Dec minutes when his computer. TR to make contact with DCC person re gritting on cycle paths. Paul Whittacker to attend too. Possible wider dispersal pattern. DC went thru the agenda. The route for the bike ride was discussed. All looks good. Current newsletter to go out to Ian D on Sunday 12th Feb. CR to let DC know how many need printed for non email members. DC to print them. TR to drop A4 label sheets to DC and he will do addresses. DC to let Les, Tony and Lucy know when we doing envelopes. Velodrome, great article from TR in paper. Flooding risk car park. Nature reserve issues. Nick Moyes involved. Over providing for car parking so must be alternatives. Want Travel Plan to reflect those who visit the venue. Letters of support by Feb 8th. 20mph zones, Twenty’s Plenty, info to go out to Board members but from whom? TR to do press release. 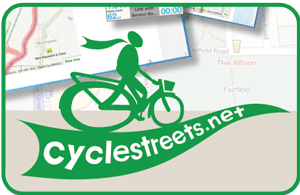 Peak Cycle Links, lets become a supporter, give donation £50 IC to make contact. Times campaign DCG to sign up TR, we are encouraging members to sign the campaign, ID to put stuff up on website. Station forecourt meeting Andy Smart Monday 13th Feb.
Sept 9th Market Place. 50 bike generator to be used. Date of next meeting: March 6th 2012. The Brunswick. Would it be ok to carry out the bicycle parking survey I mentioned at the March DCG meeting, with commuters using the Derby Railway Station bike park on Monday March 26th? Would it be appropriate to introduce DCG into the survey and to mention the next meeting? I am unsure if those curious about joining DCG meetings at the Brunswick need to be members before attending. I spoke to a commuter at Queen St Leisure Centre whilst locking bikes up today (Steve) and he was enthusiastic about the idea of DCG and interested in attending the April meeting. You’ve probably realised we are a fairly laid back bunch, so we’d rather people came to the meetings and had a chat even if they are not members. If we are really on the ball we’ll have got them to join by the end. Please do keep introducing us to people in the street and inviting them down. bike survey, as was talked about last Tuesday, great idea, please go for it.